Personalize your Alberta Office Desk Chair to meet your work space and comfort needs. 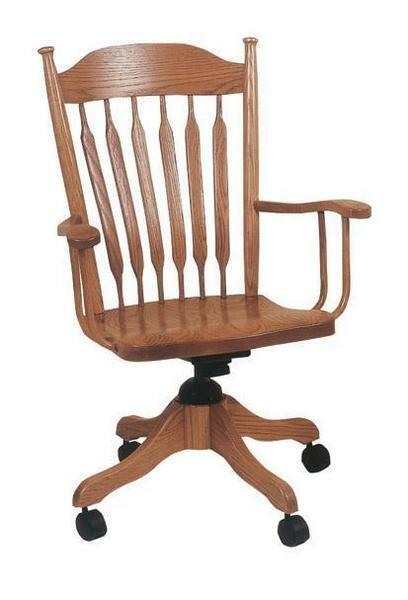 Crafted from premium North American Hardwoods, this comfortable desk chair makes a great pair with any of our solid wood desks. Order your new office set today and enjoy the beauty of quality handcrafted Amish furniture at its finest. Overall Height Adjusts from: 37" to 43"
Height from Seat to Top of Chair: 22"
Seat Height Adjusts from: 15 to 21"
Received my chair on Weds, 8/2. Jake was very nice and helpful. I am sitting in it as I write this email and I love it.